Traffic will begin using the Craibstone to Stonehaven and Charleston stretches. 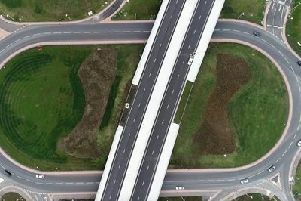 Motorists will have access to around 20 miles of new road. Police Scotland will operate a phased opening of the junctions. It will initially start at Craibstone with Stonehaven, Charleston, Deeside, Kingswells South and Kingswells North (A90 southbound exit slip road only) following. Cleanhill Junction, which links the new A90 with the new section of the A956, will also open as part of the process. For safety reasons, there will be no access to the northbound AWPR from Kingswells North until the final section of road is complete. The contractor has confirmed that it is targeting a December completion date for the River Don Crossing, which has been held up by repairs. Transport Secretary Michael Matheson said: “This new section of road, which will make more than 85% of the project open to traffic, will immediately make a tremendous difference to road users across the North-east. 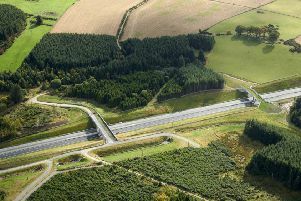 Leader of Aberdeenshire Council, Councillor Jim Gifford, said: “These new sections of the AWPR will quickly become essential routes for the many people who live and work in the area, as well as those coming to visit the north east of Scotland. “Aberdeenshire Council has invested £75 million in the delivery of this project and I am pleased to see us reach this stage of the development. The bypass had been due to open in the spring but has been hit by repeated delays. The cost of the project is expected to rise from £745 million to more than £1 billion.